Lazar Markovic has played his way onto Chelsea’s radar. It was clear in the summer that Andre Villas-Boas was keen to add more youth to his squad, with the additions of players such as Oriol Romeu and Romelu Lukaku. 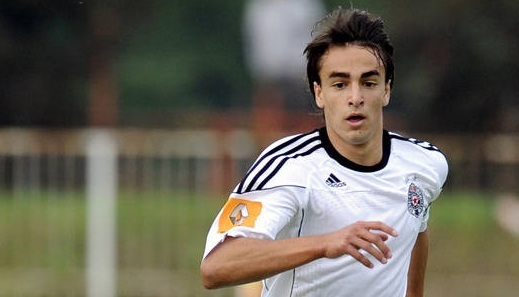 And the Portuguese coach is now thought to be interested in Serbian Under-21 international Markovic, who is currently under contract at Partizan Belgrade. The 17-year-old Serbian, was asked about rumoured links with Serie A side Fiorentina, who have also reportedly been impressed with his fine form this season. "Chelsea is the club I love the most, of course after Partizan," said Markovic. "I'd like to play there." The forward only signed a five-year deal with Partizan in July this year, but with three goals already to his name this season, a host of big-name sides, including the Blues, are already lining up a January offer.